A vacant Bronx lot could turn into a residential building with 94 units, according to plans filed with the city’s Department of Buildings. 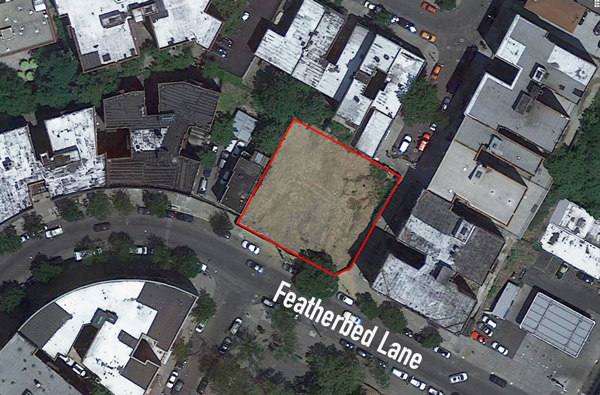 Bronx investor Arjan Gjushi filed plans with the agency on Monday to construct an eight-story building at 29 Featherbed Lane that would span 61,031 square feet. Gjusi purchased the property in 2016 for $500,000 from the Stagg Group , which had planned to construct a 59-unit residential building on the property. Gjusi, who owns multiple residential buildings in the Bronx, did not respond to a request for comment. The project would be located in Morris Heights, where the nearby 99-unit residential building at 1765 Townsend Avenue recently sold for $26 million to Josh Gotlib’s Black Spruce Management.